The Air That We Breathe includes sixteen beautifully crafted designs, each one named after a different place in London – a nod to the city, which Kate has lovingly called home throughout her career so far. 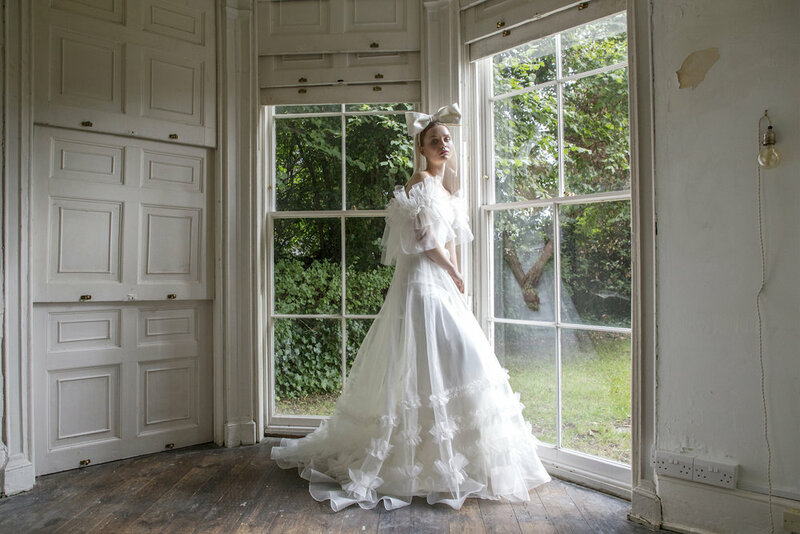 Originally inspired by the desire to re-create the classic, much-loved ball gown shape synonymous with bridal design, the collection of gowns and separates evolved during Kate’s recent relocation to the Kent coast and the contrast from bustling city to the serenity and space that now surrounds her. Incorporating couture techniques with delicate textiles including lace, tulle, organza, satin, silk and sequins, each unique piece falls gracefully and effortlessly, allowing gentle movement and flow. For Kate, this latest collection is a fusion of past and present – it’s romance re-invented.